WOW! GUESS WHICH SALMAN KHAN FILM'S SEQUEL IS ON THE TABLE? 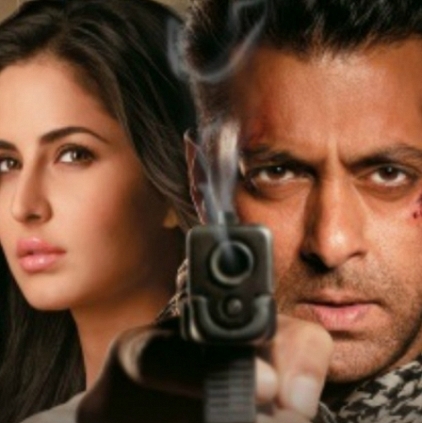 Salman Khan’s Ek Tha Tiger celebrated it’s fourth year anniversary yesterday, the 15th August. The film’s director Kabir Khan presented a great news on the occasion through a tweet where he confirmed the fact that a sequel to the film is on the table. “Thank you for all the love and making#4YearsOfBlockbuster ETT trend... Now wait for the sequel” tweeted the director, who also has movies like Bajrangi Bhaijaan and Phantom to his list of successful films. This is apparently the third time that the Kabir - Salman Khan duo will be joining hands for a movie. Official word: When will Sivakarthikeyan-Ponram film start? A period action film like Baahubali? Salman Khan's Supports Sonnalli Seygall On Her First Big Performance. People looking for online information on Ek Tha Tiger, Salman Khan will find this news story useful.